There's lots to do and tons to see in the Fall, but all of this as just made easier. 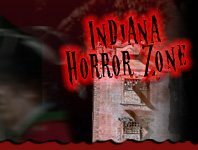 Some of your neighbors and beloved Indiana locals have teamed up in hopes to give you a good scare this Halloween. Home Haunts are the new and fun way for locals to show off what they've got and scare the life out of their surrounding neighbors. Get out and explore what some of these Indianapolis homes have to offer on a dark eerie night. Decorations, music, and a good spook are waiting for you right in your backyard. Don't wait – go out and search now!